You could say we’re a tech savvy family! My husband and I both have iPad Mini’s and our almost 3-year-old daughter, Ava, inherited my old iPad last year. I’m always on the lookout for new technology that can enhance the use of our devices, so I was excited to learn about Sphero 2.0, an intelligent robotic ball that has completely revolutionized game play on a mobile devices. Sphero 2.0 is the world’s first app-controlled robotic ball and game system that connects wirelessly to the virtual world with mobile apps, enabling new game play for mobile devices including: robotic movement, kinetic motion, controller support and augmented reality capabilities. Individuals can choose from over 25 apps available for iOS and Android that allow you to play with the robotic ball in a multitude of ways. Driving – Sphero 2.0 is like a remote control car, but better. With the ability to roll at speeds up to 7 feet per second, children can create paths around the house that their Sphero 2.0 can whizz by. The robotic ball is also durable and waterproof so the racing fun can be taken outside. Augmented Reality – There are a mulitdude of gaming apps that can turn any room into a video game. From killing Zombies to eating virtual cupcakes their is sure to be a game for every member of the family to enjoy. Sphero 2.0 is also a great addition to family game night with the with multiplayer apps like ColorGrab. Programming – Sphero 2.0 allows individuals to learn the basics of programming while having fun with ten different programming environments, and apps. Have a budding programer in the family? Parents can get their children involved in the SPRK Education Program that helps teach children the basics of programming! Education – Sphero 2.0 can also teach kids the basics of math, programming, and robotics through downloadable SPRK lessons. The education aspect of the Sphero 2.0 makes it a great gift for graduation and children out of school for the summer. Accessories – Two ramps are included to enhance the driving experience of the Sphero 2.0. Nubby covers can be purchased at an additional cost to protect the Sphero 2.0 from the elements while giving more traction on different terrains. The recommended age of use is 8-years-old, but my daughter had a ball driving the Sphero 2.0 with the help of her daddy. Although, I must admit my three persian cats were not so crazy about the ball flying towards them! Thankfully, Sphero 2.0 is pet proof and has no problem handling the sharp claws of cats. 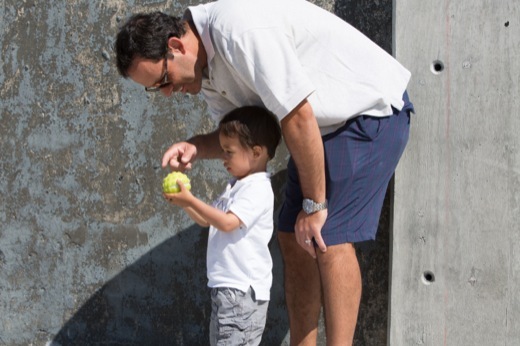 With Father’s Day around the corner, Sphero 2.0 is the perfect unique gift for dad. The geek in my husband came out after trying our new Sphero 2.0. I might just have to teach him how to share instead of my daughter! Sphero 2.0 will definitely bring some fun on the special day. Dad can feel like a kid again while bonding with the kids. Sphero 2.0 is regularly $130 but is on sale for only $99 starting May 16th through to Father’s Day (June 15th), 2014 at the official Sphero store. Keep up to date with Sphero 2.0 by following their social media accounts – Twitter, Facebook, Pinterest, Instagram, and YouTube. 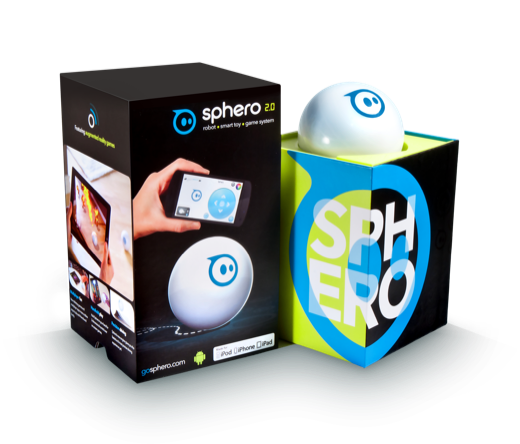 Celeb Baby Laundry & PTPA are giving (5) lucky readers a chance to each win (1) Sphero 2.0 unit. This contest is open to US and Canadian residents. Disclosure: I am part of the Sphero 2.0 Ambassador program with PTPA and I receive special perks as part of my affiliation with this group. The opinions on this blog are my own.